Your garage door deserves the best repair service in North Hollywood and our professionals deliver with friendly, professional technicians, superior quality materials, and the lowest prices in town. Take a look at some of our most recent outstanding projects below! Customer Issue: Our customer’s spring had broken from wear over time. Our Solution: After disconnecting the opener from the door for safety, our professionals then removed the broken parts of the spring. The new extension spring was carefully installed and the tension adjusted to ensure functionality. Our team also tested the system to confirm it was working properly. Our Solution: Our technicians offered the customer a number of options and he chose the Raynor Aspen AP200, a thermally efficient steel garage door with polyurethane insulation. For added elegance he picked an auburn wood grain finish. 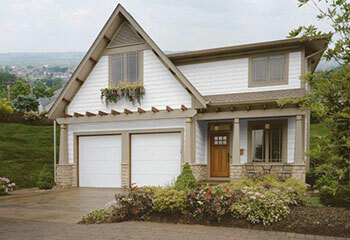 Customer Issue: Wanted to increase home safety and security with a modern garage door opener. 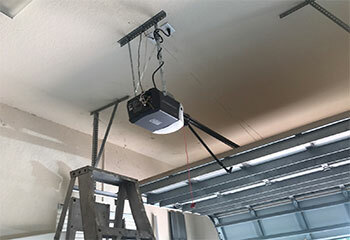 Our Solution: Our technicians installed the model that the customer chose – the Chamberlain B750, an ultra-quiet belt drive opener that provided him with up to date technology including electronic protection against forced openings and easy connectivity to smart devices. 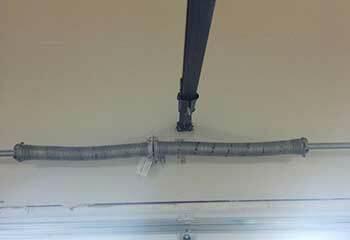 Customer Issue: Garage door not opening properly. 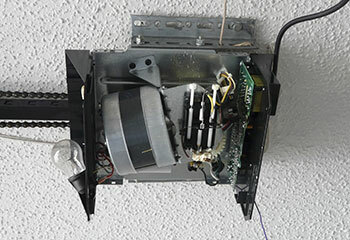 Our Solution: We carefully opened the opener's cover case and located the limit switch screws on the back of the motor. We adjusted the down and up limit screws to ensure the door wouldn't stop halfway. We then adjusted the chain drive as well, as it was slightly loose.